In Canada, there are different people with different health conditions, diagnosis, and allergies. Such health conditions and diagnosis include diabetes, asthma, heart diseases, autism, and epilepsy, while some are allergic to nuts, latex, penicillin, animals and certain foods. It is always essential for Canada’s health service providers such as paramedics and EMTs to know an individual’s diagnosis and allergies before offering any emergency treatment. In most cases, the patient can speak and tell the doctor or the paramedics about their conditions and allergies. However, in some cases such as accidents and heart attacks the patient is unable to speak, but with the help of a medical alert bracelet the paramedics acquire all the information about the patient diagnosis and allergies. Medical alert bracelets in Canada are merely bracelets that contain vital information about the patient. Most of them are two-sided, so sufficient information is engraved. On the front side, it includes the individual personal information such as the name, diagnosis, health conditions and allergies. On the back side, it contains emergency contacts and address of the individual. The primary role of the medical alert bracelet is to inform the paramedics and emergency respondents about the patient allergies and diagnosis. This way they will be able to offer their services easily, effectively and faster, mostly in instances where the patient is unable to speak. The emergency contacts engraved on the medical bracelet will allow paramedics and EMTs to contact the individual’s loved ones. Medical bracelets in Canada use a language that can be easily understood by the paramedics. The information and instructions on the bracelets are precise, straightforward and straight to the point. A good example is when a bracelet is engraved with the words TYPE 2 DIABETES, to mean the individual has type two diabetes. In Canada, paramedics are trained to understand the information easily and fast, so that they can offer treatment and first aid quickly and effectively. They are also to look for medical bracelets first, before providing their services. They are designed to suit people from all walks of life. It means that kids, adults, and seniors in Canada can use the medical alert bracelets. Apart from aiding you medically, medical bracelets will also give you a stylish and fashionable look. In some instances, one can wear more than one medical bracelet, as long as they contain relevant information about the individual’s health diagnosis and allergies. Medical alert bracelets come in different sizes and materials. Materials that are used in making bracelets in Canada include gold, leather, stainless steel, and bronze. Some individuals are allergic to certain metals or materials, so it is crucial for an individual to choose a bracelet that he or she will feel comfortable wearing. In Canada, it is effortless to acquire and own a medical alert bracelet. Mostly it is done online; you can purchase the bracelet online and have it delivered to your home. The advantage of buying bracelets online is that you have the freedom to choose the kind of bracelet that you want. Also in Canada, there are charitable organizations that give out medical bracelets free of charge, all you have to do is give your personal information, health conditions, diagnosis, and allergies. 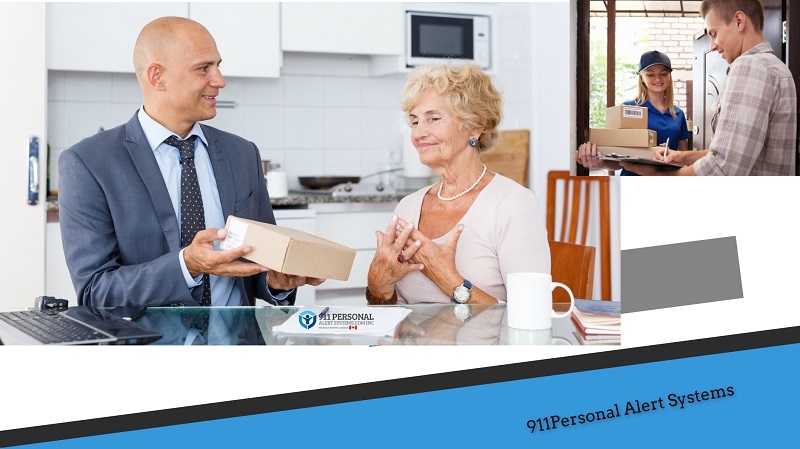 911 Personal Alert systems specializes in providing affordable systems for medical, or lone workers. Based in Airdrie, Alberta, we can effectively cover your needs, anywhere in Canada.